It's time for another personal update. Time to reassess and set realistic goals. This month has been so much harder than I anticipated. Somehow I imagined that summer would bring better health and more energy along with sunnier days and warmer temperatures, but it hasn't really. I have spent so much time in bed! There are many little things that have brought a smile to my heart even though I have been quite weak and flaring lately. It's important to focus on and cherish those little blessings that we so often overlook in the chaos of everyday life. Cultivating an attitude of gratitude. It really makes things easier to handle even if it will never cure our ills or heal our pain, it can certainly make life more pleasant! So it's that time of the year again, the dreaded brown envelop arrived and I have to reapply for my benefits. This will be my second reassessment after my initial application in 2015. I've had to do this each year that I've been ill. The envelop was actually white this time - beware! I now have the horrid task of completing a detailed 24 page questionnaire about the way my illness affects my daily living. Some questions are simply ridiculous, but what can we do. Apart from the enormous exertion of trying to write coherent sentences that will make my point and not get me penalised, we have the added stress of not knowing if I will get another payment. Although the money I get is not even enough to cover rent, it almost does, it's a couple of hundred pounds less that my parents have to fork out. They have already uprooted their lives to move here and help us out. They work so very hard. On top of the mental exertion of completing a form accurately, there is the emotional side of things. The detailed questions that really highlight how utterly disabled you really are. Despite living it daily, it is a kind of trauma to see in such vivid detail of just how weak and incapable you are. This comes just as I was reassessing my schedule for that exact reason. I had realised that I was unable to do half the things on my list each day. Not even. And I was putting too much on the list to begin with. Coming to the realisation that you are incapable of doing even that little is not easy, being strong enough to let things go and be okay with it is important but so very hard! Also, I have also come to realise this month that I am unable to really have visitors. As much as I might like the idea of seeing friends, realistically, it is too hard on me to have people around. The evidence is in how tough it is on me when my parents come over once a week. I often spend most of their time here in my room alone and then feel sad when they leave because I have hardly seen them. So realistically I cannot have visitors, I don't think I could cope at the moment. And even phone calls aren't much better. They are exhausting - utterly draining - they make me breathless. I just can't cope. As sad as this all sounds, I am still positive and joyful. Hopeful for the future. Nothing has changed in that sense. I am simply being realistic about what actually is. I can sometimes get so wrapped up in my plans and goals that I lose sight of the fact that I'm sinking in an ocean of un-ticked boxes and un-reached goals. Eek, as perfectionists we don't like those, do we? I'm just adding pressure on myself to do things that nobody else is expecting me to do. I think it is healthy and important to reassess things occasionally and remind ourselves of what is truly realistic and what is just adding unnecessary strain. Don't you find it so hard to switch off and rest - like mentally rest, stop your mind from racing even if your body is at rest? As a result of the reassessment, mine and that of the benefits office, I am investing in intentional rest. Spacing rests out evenly throughout the day and taking note of where I place upright and reclined or lying down activities so that my heart doesn't get overworked. It's important to note which activities use screens, which are upright, which require more brain work and which are more physical. Are there any stimuli like lights, noises and emotional triggers like when watching a movie or listening to music? How does your body respond to all these things and then schedule your activities accordingly. My problem is that while I'm very good at scheduling things, I am awful at execution. I am inconsistent and forgetful. And when I'm in the middle of something I am often just stubborn and don't want to stop. I do this to my own detriment and really need to remember that it is an investment to rest. An investment in my better health. Don't you hate it when things go off plan? As much as I might like to think I have created a great plan, it is vital to accept that some days will just be completely off schedule. Whether it's because of a flare or an unforeseen email that demands attention or simply life that happens - something is bound to come up some days and it has to be okay. Today was my first day of implementing my new schedule and such an email popped up. I ended up spending all day working on it on and off. Other people might spend a few minutes on such an activity, but for somebody with Severe ME there are so many factors to consider. Brain fog causing typing errors, putting words in the wrong order, sentences that don't even make sense. Physical pain making it hard to focus or use hands and arms. Exhaustion making it hard to stay on task or keep arms up to type, needing support cushions and dimmed lights. Rest. In the end my whole day was taken up by this one task. It's okay. I went into this last night knowing full well that something could come up and I have to be flexible otherwise I will get upset about not getting things done and try to rush through things and really just make myself worse! So despite the fact that today didn't go to plan at all and that it was actually a high pain day and I spent most of it with my curtains closed and sunglasses on, I had a good day. I did a thing. Yay! Since getting my new activity tracker/heart rate monitor, an early birthday present, I have been able to track my Stress Score which is basically a measurement derived from your Heart Rate Variability and activity levels. Apparently my heart never actually rests - not even while I sleep. As an average I am getting less than 2 hours of rest in any 24 hour period! I cannot imagine that this is good for my ticker. So I have been trying to keep my Stress Score as low as possible. Guided meditative breathing exercises do help while I'm doing them, so I do also try to keep my breathing even while doing other things. Of course I cannot multitask with this ME monster, so it doesn't really work. I occasionally manage to get around 4 hours of rest. Rarely. Another thing I noticed was that my Stress Score shot up really high when I watched something on Netflix. So I have hardly touched Netflix or TV since. I now only watch it if I am completely unable to do anything else and I keep an eye on my Stress Score when I do watch something - if it stays relatively low then I keep at it. If it shoots up then I stop. I was surprised to see how much watching a show can affect my heart, even for hours afterwards! The Stress Score is delayed a bit though, it is a better indicator of recovery from exertion. The fact that it was high is probably due to a previous exertion or prolonged screen time and is the reason I was feeling poorly - my body was struggling to recover. Have you noticed such spikes in heart rate from watching things? Oddly, I tend to get a little burst of energy and mental clarity late at night, it comes anytime after 9pm. It doesn't last very long, but this is when I usually do my scheduling, writing or prep my desk for the next day's art session. It's a little window of near normalcy which I treasure, but the energy will drain fast so I must use it wisely to get the most out of it. I also get a very evident crash afterwards, so part of this late night boost is used to get teeth brushed and back into bed before that happens. Do you also get a little burst of energy at night? Pin "Time to reassess my condition"
Hi Charlene, thanks so much for spending that small window period of energy for writing this blog post and participating in the monthly linkup! I appreciate the effort, and many of us do find reading the entries interesting. 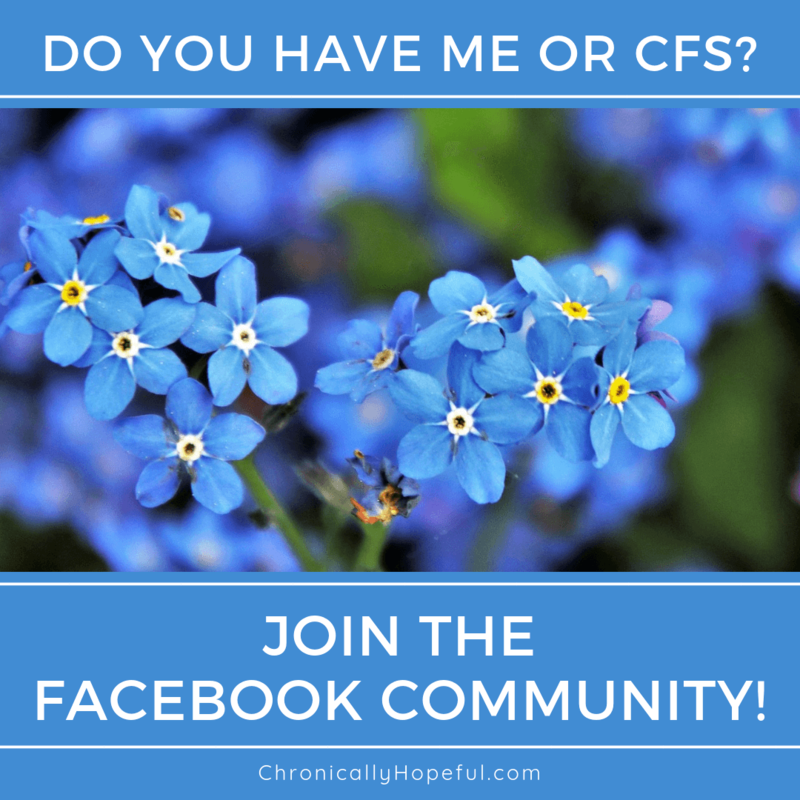 While I don’t have ME/CFS, I can relate to the need to ration my energy supply or burn. While I need space between meeting people in my calendar, ironically I’ve had too much alone time recently and it’s not doing me any good mentally, either. So there we go, yet more balancing to do ? I hope the summer really does look up for you soon. May the weather be great and the spoons aplenty! Thanks, Sheryl! Finding that balance is so hard, isn’t it? I’m so grateful my family moved over to England from Italy, else I’d likely not see anybody at all! Actually before they came over and we moved house, I did get one visitor a week. As much as I enjoy alone time at home, being alone all the time isn’t fun. Hi, Char – thanks for sharing your heart here (pun intended!). You’re courageous and your transparency is inspiring. Also, the pics of your cacti are super cute! I love cacti and succulents because they’re the only plants I don’t seem to kill ? Also, I like to think I’m “strong like a cactus,” haha. You are too! Ah, thank you, Nicole! I like that – strong like a cactus! They are adorable, apparently they hurt if you touch them though, my mum can testify to that lol… I do my best not to go near the tops and only touch the glass cups they’re in. I water them with pipettes so my hands don’t go anywhere near the spikes. I’m very happy to see that one is growing what appears to be little baby cacti and another is changing shape which is rather fun too. I’m hopeful that one or two might flower too. These are my first succulents, so I’m very excited about them. I’m sure you can tell!! Thank you, Esme! Such an honour. Congratulations on your nominations! Setting goals and then hitting none of them can be so frustrating. I recently came across something called mini-goals that I’m putting to use. The idea is that you set a goal so small that it’s near impossible not to complete and in the completion, you might actually do more. For instance, if your goal is to read more books but the thought of reading a whole book is just overwhelming especially if reading bothers your eyes then set a smaller goal. You can set a goal to read only one sentence a day in your current book. Then, if all you do is read one sentence, you’ve accomplished your goal. But if you’re feeling good, then you might as well keep going because you already have the book in front of you. The intent of mini-goals is to make them so small they are near impossible not to meet. And that, in turn, keeps your positive. BTW, love all the pictures of the cacti. Thanks, Jennifer! That is an interesting way to go about things. I might well have to put that into practice as this flare is just ongoing. Mini goals… I like that! Maybe this was a typo? Did you mean your heart rate shot up, not your HRV? [ “HRV is a very good measure of the efficiency and performance of your cardiovascular system,” Dr. Higgins adds. A high HRV means your heart is performing like one of those expensive cars that can go 0 to 60 in 2.7 seconds. “Studies suggest that people who have a higher HRV are actually healthier and live longer with less risk of disease,” he says. A lower HRV is associated with heart attacks, strokes, and diabetes. Anyway, I hope your assessment goes well and you can keep your benefits. All the best! Thank you for pointing this out, yes I was mistaken in calling it my. HRV – it is my Stress Score which is derived from HRV readings and other variables by my activity tracker/heart rate monitor. My stress score was high. This indicates a problem in recovery as far as I can understand. Basically this reading shows me that I hardly ever get any rest unless I’m doing meditative breathing exercises. And when I felt so poorly, my Stress Score was high, possibly the reason I was feeling so poorly was because my body was struggling to recover from a previous exertion. Pacing is hard – Totally agree with you on this one. Will we ever get it spot on? Probably not! After ready the link ups for June it is good to know so many of us are experiencing similar things and that we are not alone. I love your paintings of sunsets they are so beautiful! Creativity has become a big part of my life since becoming poorly. Your Mum and Dad sound amazing btw and I love the cacti! Thank you, Jenny! It is such a harsh and broken system, isn’t it? I hope your application was successful. Great reminders for me – thank you for posting these! Thanks, Pamela! Glad you found this post helpful.